Members of Ebby’s Frisco Office recently presented a check for $92,000 to representatives of Texas Scottish Rite for Children. The check represents the proceeds of the office’s 10th-Annual Charity Golf Tournament, held September 25. 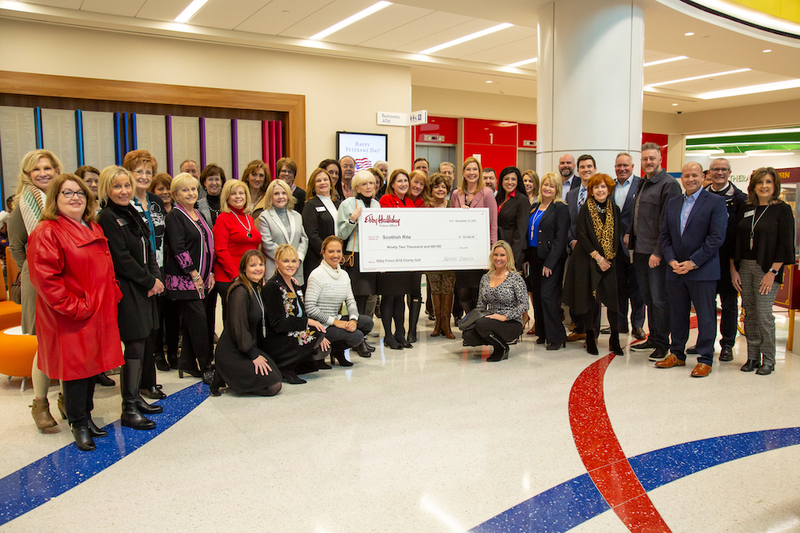 One-hundred percent of the proceeds from the event benefit Texas Scottish Rite for Children in Frisco, a new ambulatory care center at the corner of Lebanon Road and the Dallas North Tollway. Texas Scottish Rite Hospital for Children cares for children with orthopedic conditions, such as scoliosis, clubfoot, hand disorders, hip disorders and limb length differences, as well as certain related neurological disorders and learning disorders such as dyslexia, regardless of the family’s ability to pay. To learn more about Texas Scottish Rite for Children, visit tsrhc.org. Ebby Halliday Realtors’ Frisco Office is located at 1415 Legacy Drive, Suite 100 in Frisco. For more information about the office, its Associates and listings, visit frisco.ebby.com.